Moritz Grossmann is one of those watch brands that don’t pop-up at first, but when you know about the brand, you’ll never forget it. Famous for their high-class finish and quality, this brand is a must-follow for the ones who call themselves ‘true watch heads’. The company is fairly young, however their ambitions are already very big. As for now, we can’t deny that the watches they create are widely respected and very cool. Their latest creation is one that’s totally different from what we’re used to see from them. The Extreme Dubai is a creation coming from the joint-venture between Moritz Grossmann and Ahmed Seddiqi & Sons. When the Dubai Watch Week kicks off, we all know some special things will see the light of day. After all, being a watch brand on display in Dubai means you have to pull off everything you got in order to get attention. The rich and famous living in Dubai or visiting this event aren’t impressed by merely gold and diamonds. Things preferably have to be extremely limited and specially made for this moment. Thus Moritz Grossmann and Ahmed Seddiqi & Sons came op with a very special watch. One that counts merely 17,5 pieces. No, that’s not a typo, there’s really 17,5 pieces of this Extreme Dubai. The first thing that we notice is the fact that this watch is far from the classy design Moritz Grossmann normally has. The watch comes with what they call ‘a used look’. 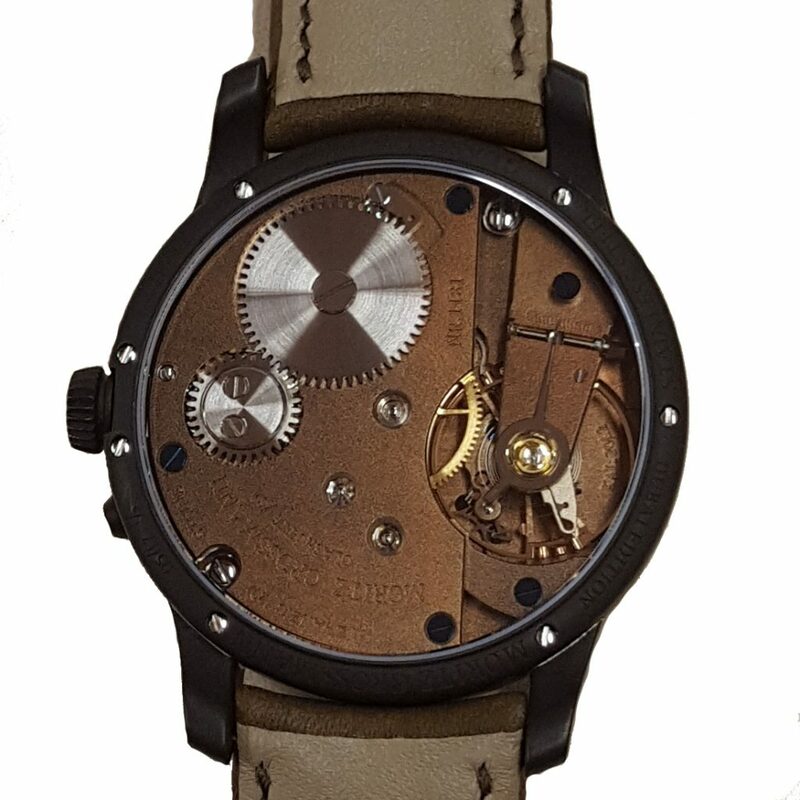 Which means there’s no dial, the case is made out of irregular oxidized steel and an destructive surface finishing. 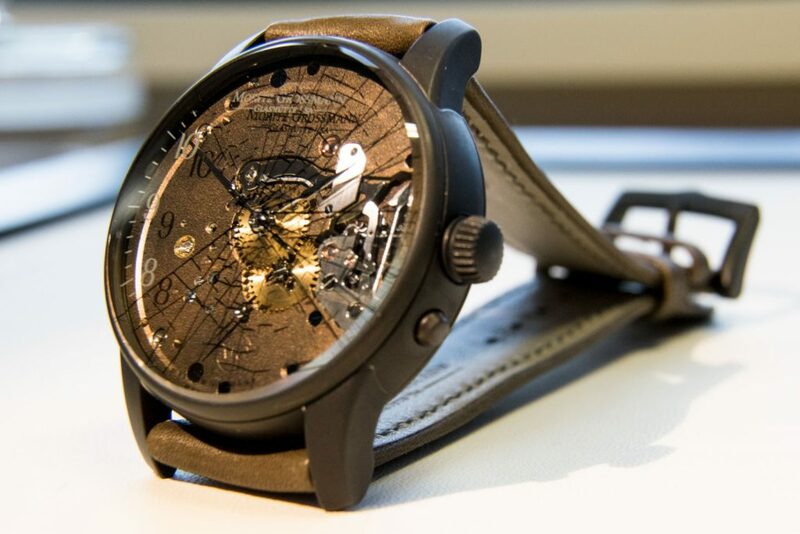 What’s the coolest detail about this watch, is the fact that the sapphire glass is cracked. As you can see in the pictures, it looks like someone threw it out the window. Very different from what we’re used too – very cool. As for the 17,5 pieces, this needs a little explanation. There will be 17 separate timepieces available for customers. The 18th piece of this type has been cut in half and is on display in Glashütte and Dubai. Which means it’s kinda useless telling us and the world there are 17,5 pieces, but hey watch brands want to have something to laugh about too. So let’s laugh about it – for a second or two. The case of the watch measures 41mm in diameter and 11,35mm in height. The hands are made of manually polished stainless steel and the strap is made out of calf leather. The buckle is made from irregularly oxidized stainless steel. 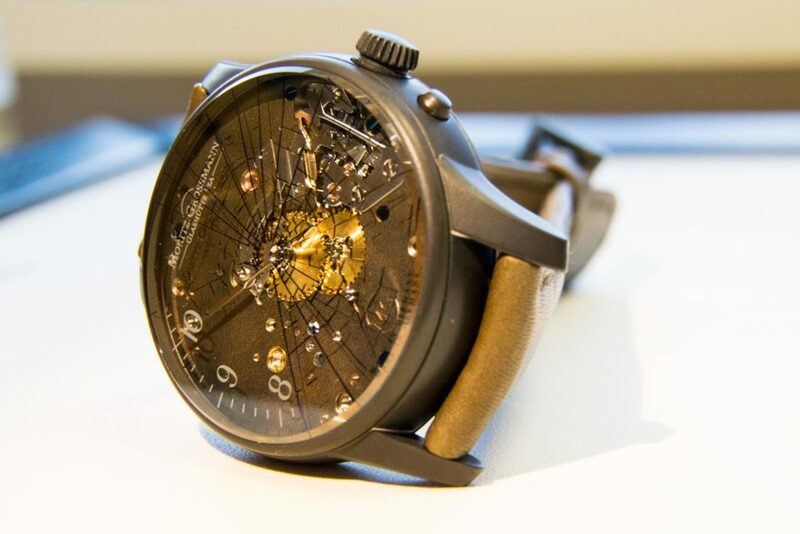 The overall look of the watch has the feeling of a rusty nail – however, it’s a very expensive nail. When fully wound, the watch will be functioning for about 42 hours. The price of this piece is not known over here, but be assured that all 17 pieces will be sold. The customer state-of-mind in Dubai is one that we’ll never quite understand. We have to say, Moritz Grossmann and Ahmed Seddiqi & Sons have created something special. If you’re financially independent, you’ll probably buy it. Because you’re bored and want something that only 16 other people in the world can have. 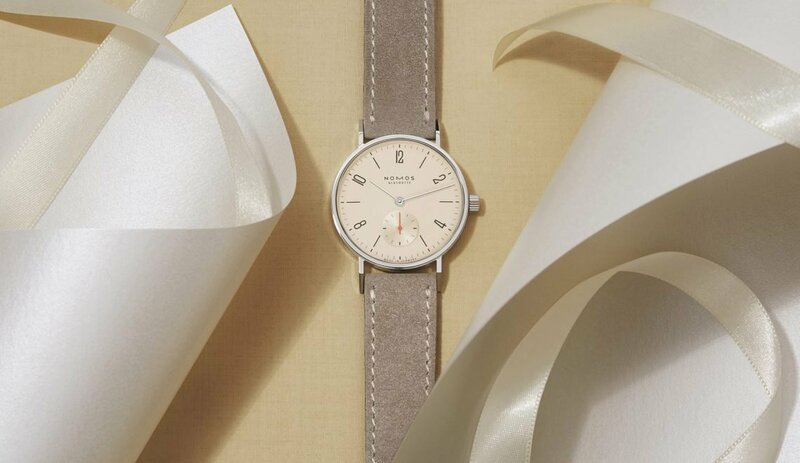 If you’re looking for a classy watch that fits your wedding – we have no idea if this is the perfect option. 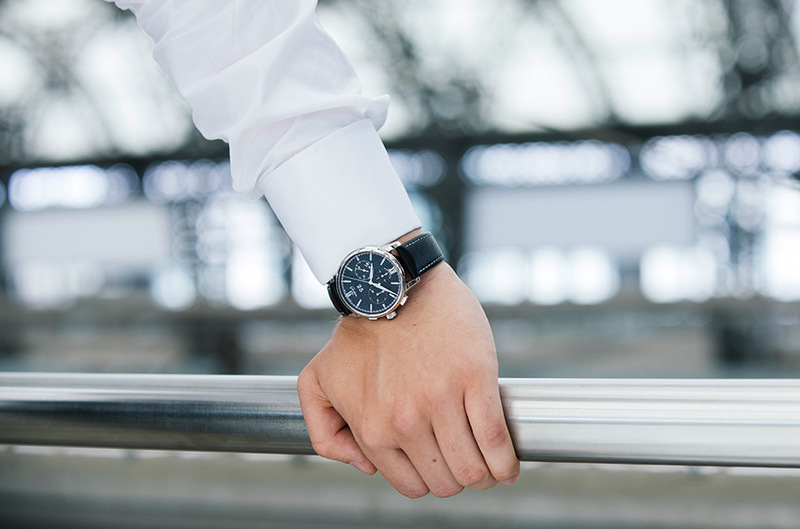 How do you like the new Vacheron Constantin Overseas Dual Time?